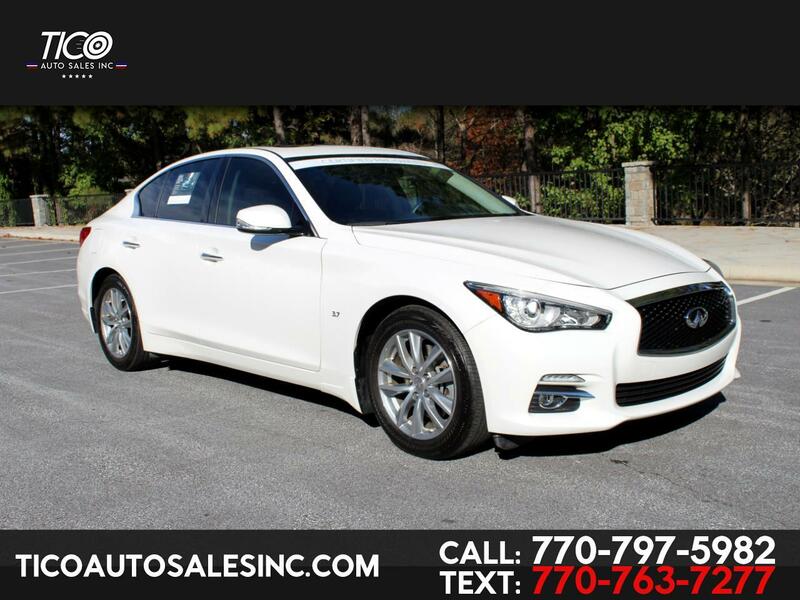 Like new, 2015 Infiniti Q50 Premium, ONLY 23k MILES, ONE OWNER, Certified Pre-Owned, Fully Loaded! Leather seats, power seats, heated and cooling seats, power windows and locks, tinted windows, Navigation system, back-up camera, sunroof, Push-to-Start button, smart key, alloy wheels, tires almost new, fog lights, double screen radio, touchscreen, bluetooth, lane departure warning, blind-spot warning, cold A/C, hot heater! Super clean inside out, no mechanical or electrical issues, no leaks, runs and drives great! Clean title, original miles, clean carfax, current emissions! Super clean sedan, loaded, certified, factory warranty, strong V6 engine, gorgeous pearl white!